In a large, heavy pot, heat sherry and oil over medium heat and sauté onions until soft but not browned. Add remaining ingredients, except garnishes, and bring to a boil. Lower heat and simmer for 45 minutes to 1 hour covered. 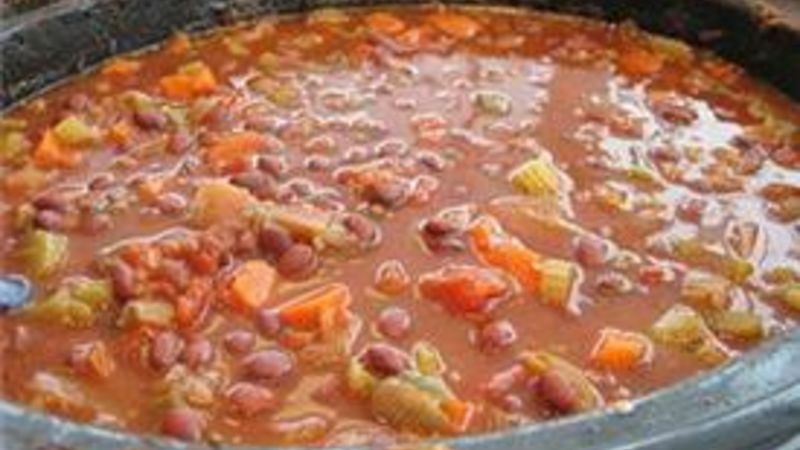 Chili should be thick, with all water absorbed. Garnish with grated onion, cheese, and a dollop of yogurt.